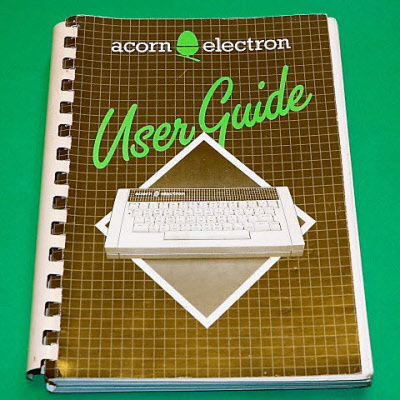 Original User Guide shipped with the Electron. These manuals have been well used and have some splitting in the plastic spine, but they are still in good, usable condition. There is some creasing, but few significant marks or tears, all pages are present.